Europe’s liquefied natural gas imports have surged sixteen percent (from 40.9 bcm in 2016 to 47.4 bcm in 2017) to become the third largest source of gas supply after Russia and Norway. The re-emergence of Europe as a major LNG market came after years of coal and nuclear power plant retirements as well as steep declines in Europe's largest onshore natural gas field in the Netherlands. In global gas markets, Europe looks like a bright star in terms of commercial opportunities over the next few years, as growing demand coincides with rising prices and strong imports. The United States, with four new LNG projects under construction, is in excellent position to seize the opportunity as a supplier in this dynamic market and assert the strategic role as it challenges Russia’s dominance as the region’s top gas supplier. Europe’s energy market is undergoing structural changes that allowed natural gas to gain a larger share in the total energy mix over the last two years. After almost a decade of lackluster demand, market expectations for gas were tempered. Yet, contrary to this bearish outlook, gas consumption across the EU grew by 52 bcm (11%) between 2014 and 2016 and was called “one of the biggest surprises” by Venture Global LNG, Inc. The driving factor behind the recovery was the coal- to- gas move in the power sector that reduced Europe’s coal fired capacity to 156.6 GW in 2017 compared to 190 GW in 2010. National public policies and market forced the retirement of most remaining coal plants by 2030. As Europe’s need for gas increased, production from the North Sea and Groningen field in the Netherlands has been steadily declining. Groningen’s output, in particular, was slashed from 45 bcm in 2015 to 12 bcm in 2017. Dutch regulators expect to completely shut down Groningen production by 2030. 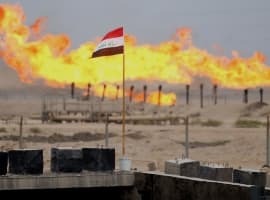 This in turn will create a significant supply gap within the European gas market. Europe’s hub prices are already nearing the Asian LNG price level--the world’s premium gas market and highest global price benchmark. Thanks to the price rally, more LNG from the Atlantic Basin found its way to Europe than in previous years. (a net increase of twenty seven percent from 37.51 bcm in 2013 to 47.4 bcm since 2017). Looking ahead, LNG traders may prefer Europe as a primary market rather than incurring higher shipping costs when sending supply further east. Under current price dynamics, there is little to no incentive to reload cargoes from Europe to Asia. The European Union is the only region that is able to effectively arbitrage between pipeline and LNG volumes, and which also has an underutilized re-gasification capacity. Wood Mackenzie projects that almost 60 percent of U.S. LNG will go to Europe, making the United States along with Russia the main suppliers for new incremental demand by 2025. Today European buyers are already amongst the most enthusiastic supporters of US LNG with numerous companies contracting off take volumes from US projects, including Sabine Pass and Corpus Christi. In fact, final investment decision on Cheniere Energy’s Corpus Christi terminal (9 mtpa ) was partially supported by Portugal’ s EDP 20 year sales and purchase agreement for 0.77 Bcf. In November 2017 Polish gas supplier PGNiG signed a 5 - year contract with Centrica LNG Co. Ltd. for nine shipments of liquefied natural gas from Sabine Pass terminal (13.5 mtpa) in southwest Louisiana to Poland's gas port in Swinoujscie on the Baltic coast. 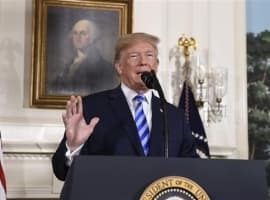 In coming years we will see more SPAs being signed between the United States and European buyers solidifying energy trade between the two biggest economic partners and key allies. After years of decline in demand gas is growing again, reaffirming the importance of the fuel for Europe’s energy future. At current gas production levels of 74 Bcf/d, cost competitive U.S. LNG producers have the potential to fill the growing gap in Europe’s gas supply and become an irreplaceable trading partner in the process. Europe offers market liquidity, creditworthy counterparts and physical demand which will make it a premium market in coming years. Against the backdrop of trade war and tariffs, U.S. LNG can prove to be a driver for better Transatlantic trade relations. Europe’s natural gas market is growing in size and importance and is driven by purely economic and environmental considerations. The economic considerations manifest themselves by the growing demand for LNG whose imports have risen by 16% from 40.9 bcm in 2016 to 47.4 bcm in 2017 and Russian gas supplies which have grown by 15.5% in 2017 over 2016 to 224 bcm or 37.4% of total EU demand. 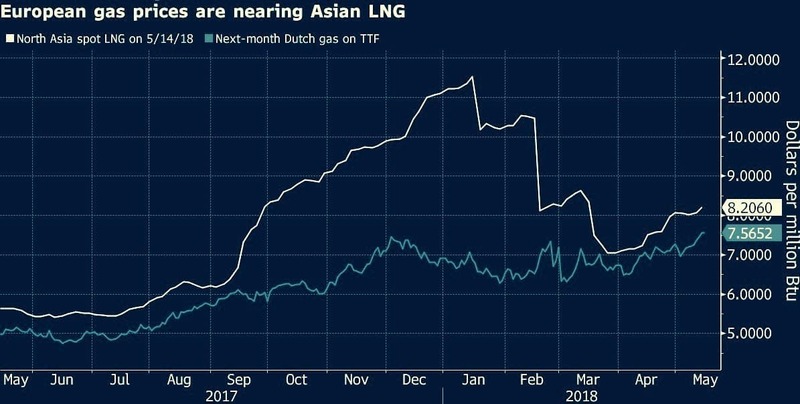 Other factors are a decline in North Sea supplies and the fact that Europe’s hub prices for LNG are already nearing the Asian LNG price level thus making the European market a very desirable destination for LNG exports from the United States, Qatar and other sources. The environmental considerations were a major shift from the use of coal to natural gas and a growing share of natural gas in Europe’s energy mix. As Europe’s gas demand grew in 2017 it turned first and foremost to Russia. Still, the United States is in excellent position to seize the opportunity as a supplier of LNG in this dynamic market and assert the strategic role as it challenges Russia’s dominance as the region’s top gas supplier. US LNG exports to the EU almost doubled in 2017. However, there is no evidence whatsoever that Russia is flooding Europe with large volumes of gas to undercut prices and keep LNG exports particularly US LNG at bay. Gazprom, the world’s largest gas producer, targets increased gas sales to Europe as a profit opportunity rather than waging a price war. 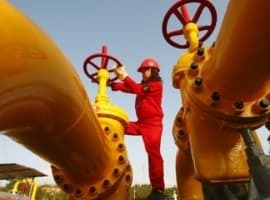 Russia also has the option to cut its gas exports to Europe and shift them to the far bigger Chinese market if Russian President Putin decides as a geopolitical move. US LNG exports can never match Russian gas supplies in price and therefore they will not pose any threat to Russian gas supplies to the EU for the foreseeable future. Still, competition and a diversification of gas import sources will benefit the EU economy hugely.